Do you experience minor aches, pains or stiffness? This Flex pad could be the help you've been waiting for. 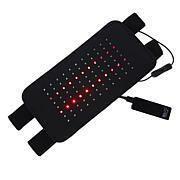 Made with flexible material embedded with LED lights, it delivers light energy into body tissues and joints to help relax muscles and provide temporary relief of minor aches and pains such as those associated with arthritis. With a larger surface area than the original design, it offers even more benefits for your enjoyment. 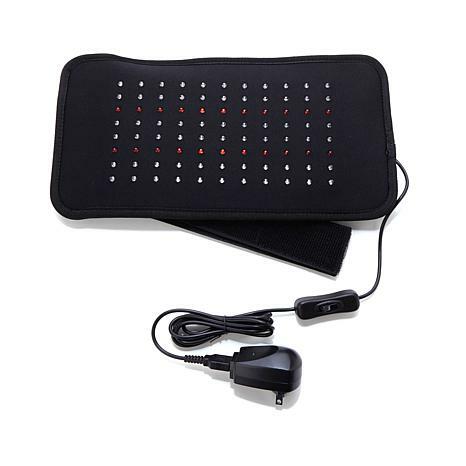 Infrared and deep red LED lights deliver both visible and invisible (IR) light energy into body tissue and joints providing a temporary increase in circulation to the treatment area. "DPL" stands for "Deep Penetrating Light". 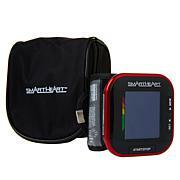 Read all instructions and safety precautions before using the DPL Flex. Do not allow children to use or leave small children unattended close to unit. Not to be used by disabled, sleeping or unconscious persons. Consult your doctor prior to using, especially if you are pregnant, are taking drugs known to cause sensitivity of skin to light, have any suspicious or cancerous lesions, and/or recently had a steroid injection or use topical steroids. Individuals using aspirin, ibuprofen and other similar drugs for pain management or individuals with skin conditions may experience a mild "flare up" of their symptoms and should stop using DPL Flex and consult their doctors. Do not use the unit on an open wound, as heat may increase circulation and cause bleeding. Do not use over thyroid gland (the neck area) if the user has been diagnosed with or suspects thyroid problems. No clinical data is available to support use for patients with thyroid gland problems. This product contains neoprene. If you are allergic to neoprene, do not use this product without first consulting a physician. Do not use with liniments, salves or ointments that contain heat-producing ingredients as a skin burn could result. 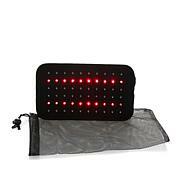 Bought this item to increase the time I could use the light system I use at the doctors for my knee. I especially like the fact that I can take this with me when I travel. I have used many of this type of product and will tell you this one works great, I have autoimmune disorders, lupus, RA, connective tissue diseases and others, I live with constant pain and this little pad has helped me tremendously, temporary relief but I'll take it! I bought this for my daughter. She says very helpful, She does use a portable charger when raveling and likes that option. Wish I could afford to get one for myself. 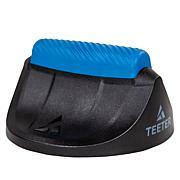 I ordered this since both my husband and I have aches and pains at times as we age. I haven't had a chance to use it because my husband monopolizes it. Obviously he is happy with this and feels it helps.